“Be the reason someone smiles today.” Seeing that slogan pop up on social media regularly attached to lovely pictures and happy faces can fade into visual noise after a while. But it’s a terrific daily goal to set. Being the reason someone smiles benefits you as much – or more – than the recipient of your kindness. Oh, I know you’re not kind to get the physical, emotional, and spiritual lift that studies indicate doing good for others result in, but those are wonderful side effects, don’t you think? Give the compliment they can carry with them. Type out compliments on some make-your-own colorful business cards that can be found at office supply stores. Smile-inducing statements like: You have a beatiful smile! and That color looks wonderful on you! and Most fun shoes I’ve seen all day! and You are great at your job! Put a rubber band around your stack, carry them with you, and pass them out generously as “needed” throughout the day! Give a moment of your time. Next time you get good service at a restaurant, fast food place, hardware store, etc., ask to speak to the manager. They will be pleasantly surprised to be summoned for a positive reason and the employee may get props. A couple of days after letting a Best Buy manager know how an employee went above and beyond to offer assistance on, as we found out after the fact, the employee’s day off, we returned to the store. There in the Best Buy entryway was a framed picture of our awesome helper with a sign that proclaimed him “Employee of the Month.” Quite a payoff for a few minutes of time! Give the unexpected. Pick up some flowers while you’re grocery shopping – a little bouquet or mini-potted roses from the floral section most stores have now. After you pay for them, hand them to the person behind you in line and tell them to have a nice day. 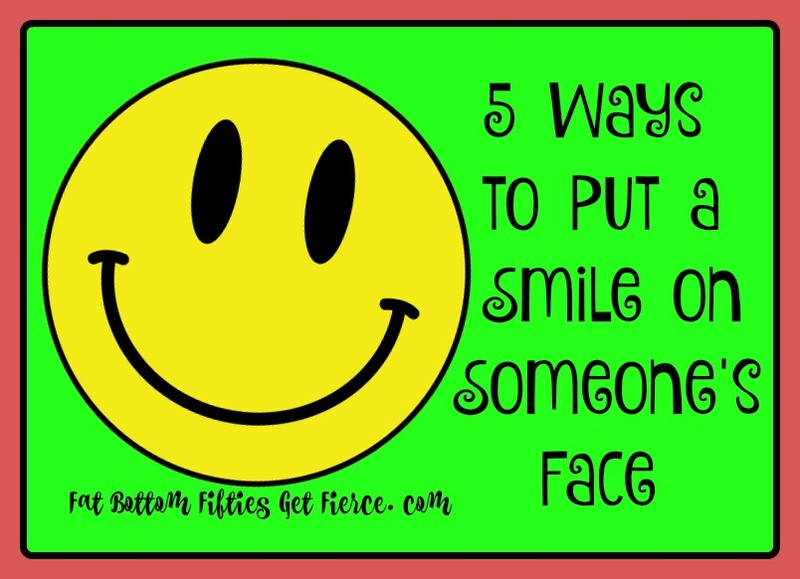 You’ll both end up smiling! Give them a reminder. Let that person whose company you enjoy, but rarely get to connect with, know you’re thinking of them. Use social media to send a bright picture (maybe of something they collect or a place you visited together?) with your just-because-I’m-thinking-of-you message. Sending a text or leaving a voicemail can be just as effective. Recently I remembered an adventure (okay, more of a misadventure) a friend and I had shared years ago and I called her to tell her how it still cracked me up. I deliberately called at a time I didn’t think she’d answer so that she would get the surprise message. I couldn’t get through the message without laughing as I recounted the memory. Which made her laugh when she received it. Mission accomplished! Give a blast-from-the-past. Send a hand-written thank you note to someone who has touched your life by some act they wouldn’t expect a thank you for. That wonderful role model, or a person whose wise advice has stayed with you, or someone who inspired you to take action. You know – that person who puts a smile on your face just by thinking of them. It’s your turn the make them smile! 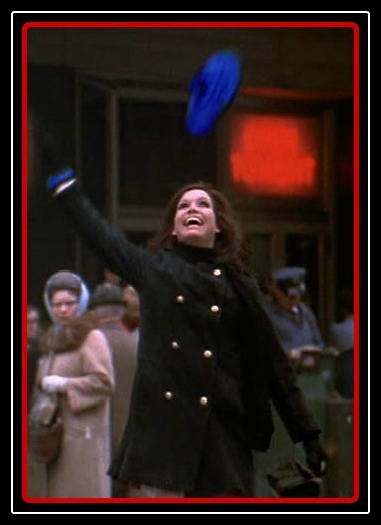 Mary Tyler Moore isn’t the only one “who can turn the world on with her smile”* – we ALL have that power. Let’s go forth and use it well! *If you did not recognize that reference, it may indicate that you aren’t in your fifties – please know that you are still welcome here!